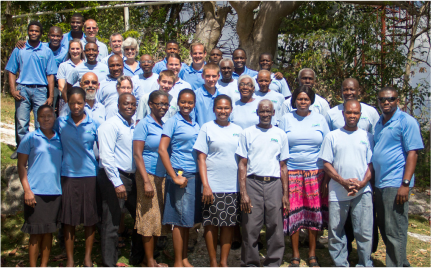 We have 30+ national team members in Haiti. They fill a wide variety of positions from administration to mechanics, cooks, translators and chauffeurs. Each is a valuable part of our team and competently serve the Lord and RMI. 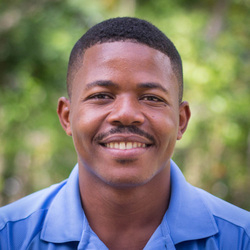 Benjamin has been on staff since 2007. 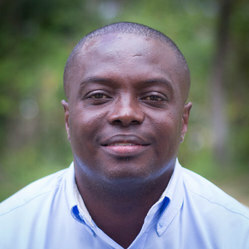 He is responsible for oversight of the Haitian team members as well as all Haitian business. He is responsible for payroll administration and he handles all container and vehicle customs and shipping brokerage. Benjamin is married to Lucette and they have 4 boys: Jaden, Jason, Alan and Ezechias. Benson has been on staff since 2003. He is the Hope for Kidz program supervisor. He is responsible for management of all church related projects and also for oversight of all the food relief programs. Benson is married to Denise and they have 2 children, Woo-Ben and Herden.